Continue to integrate our functions and resources, and to develop our organisational skills, competencies and capacity to ensure effective and efficient marine management arrangements in Scotland. Marine Scotland, being part of Scottish Government, exercises a full range of policy/administrative capabilities related to comprehensive engagement with stakeholders and ensures compliance with European Directives relevant to its marine planning responsibilities, including the SEA and Habitats/Species Directives. Through Marine Scotland Science, Marine Scotland operates a fully equipped modern marine laboratory in Aberdeen covering a wide range of disciplines including marine physics, chemistry and biology, marine engineering and undertakes field sampling and research through research vessels Scotia and Alba na Mara (managed by Marine Scotland Compliance). Marine Scotland are responsible are the overall MUSES project lead organisation. Bruce works within the Marine Renewables and Offshore Wind Branch and duties include engagement with key stakeholders to promote an inclusive approach with regard to offshore wind, wave and tidal energy development. He has also had an active role on the ‘Sectoral Marine Plans for Offshore Wind Wave and Tidal Energy in Scottish Waters’ which are scheduled to be published in 2017. Bruce joined the Scottish Fisheries Protection Agency in 1992, an organisation that merged with the ‘Fisheries Research Services’ and the ‘Scottish Government Marine and Fishery policy divisions’ to form Marine Scotland in 2009. Bruce gained 20 years’ experience working with the Scottish fishing industry and during that period he co-ordinating a number of large scale enquiries. He transferred to his current post in the Marine Planning & Policy Division of Marine Scotland in 2013. Bruce holds a BSc Honours degree in Zoology (Marine & Fisheries Biology) from the University of Aberdeen. Tim joined Marine Scotland within the Licensing Operations Team in 2011. Beginning with working as part of the general licensing section as a casework officer he has been involved in issuing consents for general marine licensing including aquaculture sites, sea defences and minor construction works. At the beginning of 2012 Tim then worked on major projects, reviewing environmental statements, preparing appropriate assessments under the Habitats Regulations and issuing consents for major port developments. 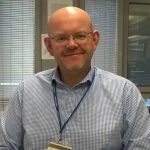 Before leaving the licensing team to join the MUSES project in 2016 Tim was an EIA/HRA compliance advisor within the licensing operations team, providing advice and support to colleagues and overseeing compliance of EIA/HRA requirements from developers. 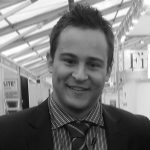 Andronikos joined Marine Scotland Science in 2012 as a Research Scientist in Offshore Renewable Energy based in Aberdeen. His role is to provide scientific advice to the Licensing Operations Team by assessing Environmental Impact Assessment documentation submitted in support of applications for offshore renewable energy developments. He also provides specialist advice to Marine Planning and Policy Division on interactions between the marine environment and the marine renewable energy industries. He holds a BSc (Hons) in Marine Science from the University of Aegean in Greece, has graduated with a MSc in Applied Marine Ecology from the University of Aberdeen and currently undertakes a part-time PhD in Marine Renewable Energy and Marine Spatial Planning with the same university. Andronikos has a successful track record in bids of high-competitive standards and as a result has been involved in a variety of research projects, including commercial fisheries, international marine planning and management, multi-use ocean space, marine mammals, sea birds, bathymetric surveys, ecosystem services evaluation, and other geospatial projects. He is an Invited Lecturer in Spatial Analysis with the University of Aberdeen as well as has been a member of Advisory boards and invited speaker in international conferences. His involvement to the MUSES project began from proposal stage and continues post-award. He is currently leading the case study on commercial fisheries interactions with offshore wind farms in the North Sea as well as assisting Marine Scotland with management and administrative elements of the consortium. Stephen joined Marine Scotland’s Marine Planning and Policy Division in 2017 specifically to engage with the MUSES project. 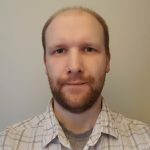 Stephen has obtained international experience specializing in tidal energy planning and management projects in Scotland and North America, producing several publications. Stephen engages with tidal energy planning and management focusing on quality management, legislative interpretation, stakeholder engagement, and strategic siting. 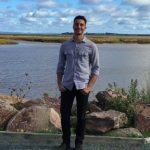 Stephen joined the MUSES team to lead Case Study 1B – Tidal Energy Development and Environmental Interactions, and will continue to engage with the project from a project controls and auditing aspect. Stephen holds a Diploma in Environmental Landscape Management from Seneca College in King City, Canada, a Bachelors in Environmental Studies and Masters in Environmental Planning – Speciality Renewable Energy Planning from York University, Toronto, Canada, and a Post-Graduate Project Management Certificate from George Brown College, Toronto, Canada. 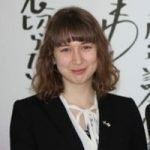 Rebecca is a top graduate of the University of Edinburgh’s interdisciplinary MA in Sustainable Development, attaining the 2015 award for Outstanding Performance in Sustainable Development. Rebecca has a keen research interest in renewable energy resources, working within Marine Scotland’s Department for Offshore Environmental Advice during her honours years to produce an award-winning final thesis on the effectiveness of public engagement within the planning and consents process for Scotland’s offshore wind farms. Ian is currently Programme Manager for the Renewables and Energy Programme at the Marine Scotland Science, Marine Laboratory, in Aberdeen, UK. He was formerly theme leader for renewable energy and marine spatial planning. He is responsible for provision of advice to Scottish Government on marine renewable energy and spatial planning, terrestrial renewable energy, and offshore oil and gas, management of internal and external research projects, and representation of Marine Scotland/Scottish Government and UK on relevant national and international groups. He leads research and advisory work on energy, primarily renewables, delivered by around 60 people, including desk-based advice on licence applications, in-house and commissioned research programme in support of marine planning and renewables licensing including sea-bed mapping, marine mammal occurrence and behaviour, sea bird ornithology, EIA development, migratory fish behaviour. Ian has published widely in the scientific press, with more than 500 publications in the last 30 years.